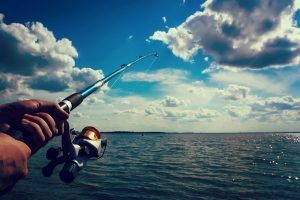 A tackle box is a container or a box that houses all the fishing tackles. Fishing tackles are all the tools you need for catching fishes. These include liners, baits, reels, rods, hooks, spears, lures, nets, and of course, a tackle box. Any serious angler or fisherman needs to have a handy tackle box to store these tools. Most small items can easily be stored and accessed from this box. 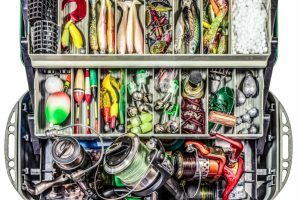 A tackle box also helps organize all your fishing gear. 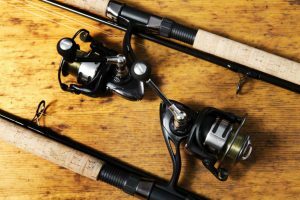 Without a good tackle box, your fishing experience can be a haphazard. 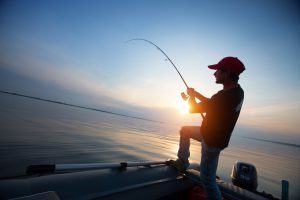 Fishing is a tactical activity, which means you need to be organized if you want to go home with a big catch. 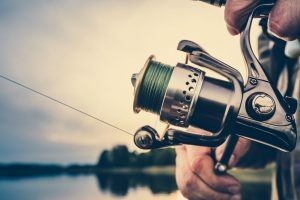 Therefore, investing in a quality tackle box is essential for anyone who goes fishing often and takes it very seriously. There are plenty of options for tackle boxes. There are variations in designs, but usually, they all have compartments for storing different tools. 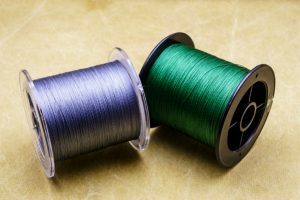 Sizes also differ as some are quite big and can accommodate tools for a whole angler team. Those are more appropriate for fishing tournaments where you might need a lot more stuff than you would otherwise. Here, we have the Plano 1444 Magnum Guide Series Tackle Box. It is a large tackle box with multiple storage layers. The Plano 1444 Magnum Guide Series Tackle Box has four layers of storage. It also comes with a brochure and nameplate order form. You can find ample storage to store all your fishing equipment. The bottom of the box has spinnerbait racks. In fact, even the top lid has storage space. Interested yet? Let’s look at these features in more detail. The bulk storage is at the bottom where you can easily house things like reels and spinner baits. Then, there is a middle layer lid as well. Every layer is separated and quite organized. It has a trapezoid shape and can easily hold six-inch lures. This one is not a large-sized tackle box but can house pretty much everything an average angler needs. You can fit in small boxes at the bottom as well. The width of the box at the top is 15 inches whereas at the bottom it is 17½ inches. The height is 10 inches, and the depth is 8 ½ inches. The top layer has a plastic layer insert. It can hold five ounces of sinkers easily. The box is pretty sturdy and made from durable materials. It is secured by brass-bailed latches that keep the box closed securely at all times. This tackle box has a molded soft-grip handle that is comfortable to hold even when the box is full. As for the weight capacity of this box, the manufacturer has not mentioned one. However, it is safe to say that you can fill it up completely with everything that you need to carry and it will easily hold it. 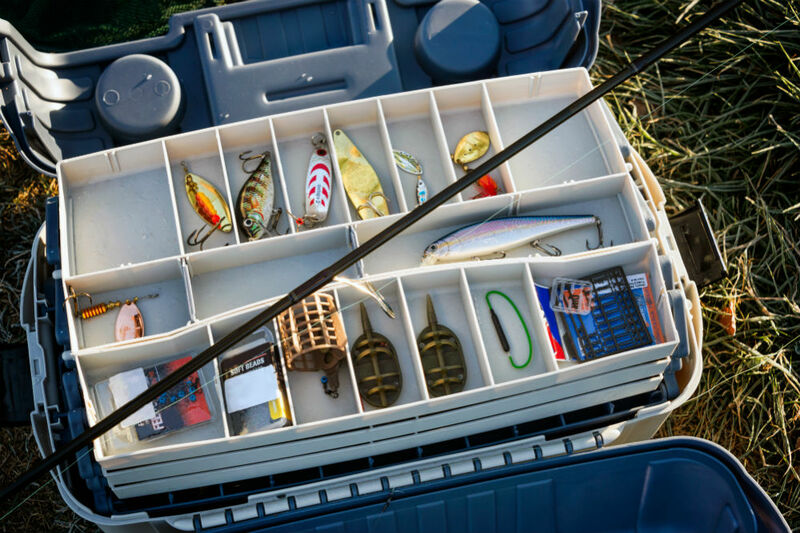 If you were to count the total number of compartments in this tackle box, the number would come around 68. The sizes of these compartments vary, and it is up to you how you place the different fishing gear. The guide that comes with the tackle box should be helpful for beginners. The Plano 1444 Magnum Guide Series Tackle Box comes from the line of high-quality tackle boxes that are designed while keeping in mind the needs of anglers. This box cleverly uses its depth with four layers. Each layer has several compartments with the bottom layers being for bulky stuff. The tackle box has a simple design and makes access to tools very easy during fishing. The box itself is not heavy and can easily bear the weight of all the equipment you need. It is a sizable box, but professional anglers who have a lot of stuff to store may need another box. This tackle box’s only flaw would be the fact that it may not be best for use during rain. The box is not exactly watertight. 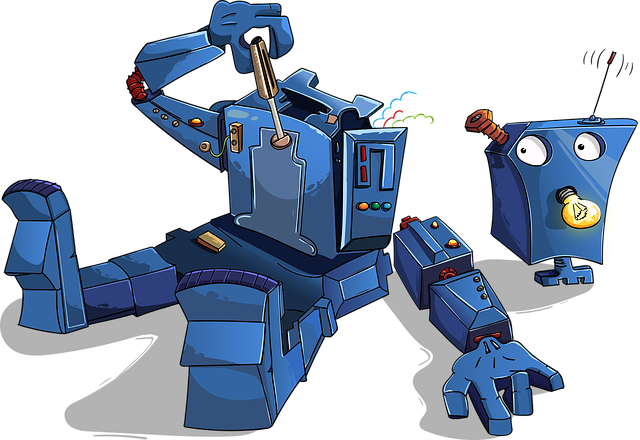 The product also has a limited lifetime warranty, so should anything go wrong, you can get a replacement. 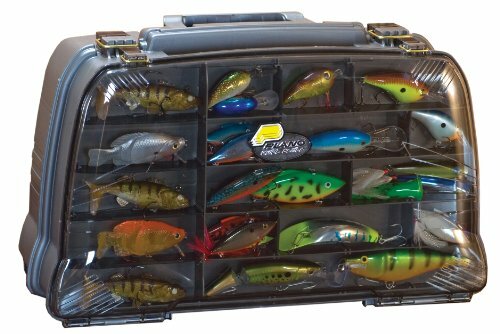 This product is part of the series of tackle boxes by Plano. As such, it is a great product. In order to truly understand its qualities and value, let’s compare it with similar products. The 1444 Magnum Guide Series is a tackle box that really is a box in that it actually opens like a box. In comparison, the Plano Hard Systems 4 Drawer 757-004 is a box that has drawers. Having drawers makes access pretty easy and fast in comparison with the 1444 Magnum. Nevertheless, the different lids and compartments of the 1444 Magnum Guide Series are also easy to access. All you have to do is remove a layer and fetch whatever you want from under that layer. If we compare it with another brand and model, such as the Special Mate Fishing Lure Tackle box by Trinity, it is clear to see that the latter is another good option and very similar product. It comes in three different sizes and has several plastic dividers just like the different layers on the Plano 1444. It also features a strong latch system to keep everything in place. The Special Mate tackle box is more expensive than the Plano tackle box in review here. This is probably because of the fact that the Special Mate tackle box is made in the United States. There are no significant differences between the two in terms of design and quality. All in all, we have concluded that the fishing tackle box from Plano is an all-rounder. It is durable, secure, and spacious, which are the basic requirements of any tackle box. 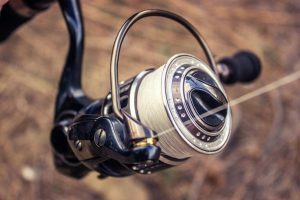 It is great for those who fish for recreational reasons as well as those who take part in competitive fishing. 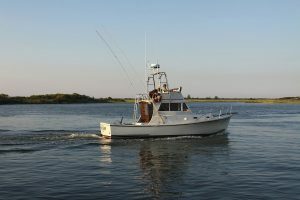 Everything is secured and at your disposal so that your fishing goes smoothly. Moreover, it also offers great value for money considering its quality and the manufacturer’s warranty. 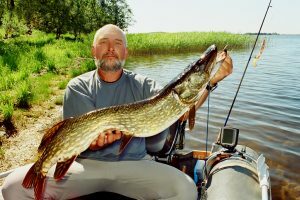 It is part of a series of tackle boxes that are popular among serious anglers. Even if you are a beginner, this box is perfect for you as the guide will help you sort all the stuff. It is highly recommended for those who just want something quality but not too expensive.